In 2002 I was really intrigued to see the movie Mothman Prophecies starring Richard Gere. The movie claimed to be based on some facts. A lot of movies claim that, usually they are far from the truth. Like many, I enjoyed the movie and didn't think too much about it until a few years ago. A pretty good friend who would come into the radio station to produce commercials for her business told me of an unusual sighting, something she was afraid to tell in public. I asked her to come on my show at the time but she refused, which I understood. A couple of years ago I was casually talking to Frank Feshino and asking him about if he had any other weird experiences to share outside of his investigative work regarding the Flatwoods Monster, he did. The story he told me was connected to a man Frank met in West Virginia who had a frightening encounter with a winged creature. 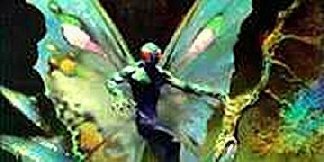 What you will hear this week was taken from You Tube, perhaps you have heard the documentary before, it is about the Mothman and what really took place in Point Pleasant West Virginia starting on November 15th. I never realized there were so many eyewitnesses. I didn't know ufo sightings were connected to the story and other strange phenomena as well. John Keel investigated the sightings in 1966 and returned many times within a year to hear more reports. John would go on to write The Mothman Prophecies. Whatever these people saw it was reported on for a whole year, the local press and law enforement were all over it, however the national press seemed to ignore it. Interesting? Where have I heard that before? At the end of I will share a couple of short stories that I have heard regarding this subject. I've believed in reincarnation for a very long time, perhaps as young as 5 or 6 years old. I don't know why, it just made sense. I kind of thought God kept sending us back down here until we got it right, how could we possibly learn everything in one time around? The stories I'm going to share with you are actually taken from the internet, You Tube audio. 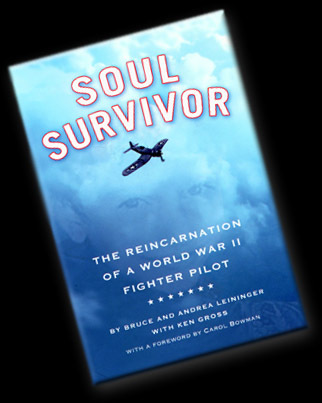 James Leininger at a very young age started recalling moments from another person's life, a pilot who died during World War Two. The voices you will hear are those of his parents, Bruce and Andrea Leininger, trying to make sense of what was going on. James would have nightmares, draw war pictures, and even know things about this pilot that he shouldn't have. How can this be? Cameron McCaulay is a young boy who lives near Glasgow Scotland, yet he also at a very young age was relaying infomation to all who would listen about his life on an island called Barra, some 200 miles from Scotland. Barra, is part of the Brittish Isles. Now as you listen to this audio you may find the Scottish accent a wee bit hard to understand at times, but as I watched the video of a boy who looked no more than 4 years old it became quite clear that he was convinced that he lived in Barra. Again, you can find out more if you want to Google it. Frankly, I wouldn't have thought about Googling this myself had it not been for a friend telling me about it. What is neat about both these stories is that the families decided to listen to the boys and see what they could learn. In James case they were able to track down a pilot (through interaction with remaining family) who they believe could have been James from another lifetime. They even resembled each other. They even had the same first name. James knew he had died in a plane crash. In Cameron's case his mother finally took him to Barra and he found what was believed to be his old house that he once lived in, unfortunately no one was alive to confirm his existence and there were no records or photos as well, yet he knew the exact layout of the house and the view of the ocean. So what can it be? Do we come back? Why would we come back? Is there another explanation? Is it possible to pick up on another person's thoughts, even after they passed, and therefore you might think you've lived before? Is it all imagination? I'm sure you know what I think, what do you think? This week I take a break and run Debby's show: Angelic Encounters. This show deals with suicide and abuse, something that I think most families deal with. And while those are subjects that are downers, the show is not a downer. It all got started quite a while back when Debby was telling me that she was getting contact from the other side by some who had committed suicide. They wanted to get their story out, perhaps help others heal and understand why. Okay. Why not talk about that, we seem to avoid that subject in our society. And why not hear what those who actually did it have to say? (if that is indeed possible) Also, Reverend Debby opens up about some abuses she's faced in her life, physical and verbal. Someone once said, "Don't we all face some sort of abuse, how we choose to respond is what matters." And that's what this show is about. Forgiving and showing compassion. Can we forgive those who seemed selfish and took their lives? Do they go on? Is there something we can gain from this tragedy? Also, can we forgive our abusers? Is it possible they taught us a valuable lesson? This show is not to make light for those who have suffered, for I do not know of their experience. It is done out of compassion and love, as is always the case when working with Reverend Debby. As I've stated before, with Debby you get the real person, she doesn't hold back. I look at all of these indivuals in the spotlight and how they wish to be percieved and I think, "Why don't you just be yourself." I wonder how many people believe in Bigfoot? I would think that a majority of people probably believe in ghosts. I heard not that long ago that about half of Americans believe in ufo's. So how many believe in what I would consider 3rd on the list of unknowns, Sasquatch? I think most will accept and even get excited when you talk about ghosts. My experience has been that many will listen when you talk about ufo's. However, when the subject of sasquatch, or other unknowns, comes up most that I've talked to will look for a reason to leave the conversation. Why is that? I think we only go as far as our awareness will take us. When we continue to expose ourselve to more and more, our awareness expands and seems to open the door to other possibilities. It may actually be a conscious shift in the brain. I only say this because it has been my experience. There are things I thought people were making up a few years ago before this show, now it just seems easier to accept the possibility that many many things could exist. Perhaps it is ego? This show has been great for my growth, in the last few years I have talked to several people who have had sasquatch experiences, many have taken place all over Upper Michigan. Even though as a kid I believed that these things existed, if I would have thought they could have been in my backyard, well, I don't think I would have ever been outside after dark! Yikes! From what I've been able to gather there are many up here that have witnessed these beings, whatever they may be. Are they physical or spirit? Do they have special abilities that allow them to go undeteched? Are they just a form or man/ape that hasn't been discovered yet? Can you call them to you? What, are you nuts? About a month ago a friend told me of a sighting by 3 men in an area some 20 miles from here, this in turn helped me decide to approach the subject this week. It's really weird because one of the men is getting married and I just met his fiance at a bridal show about a month and half ago. Strange coincidence? Are there no coincidences?